I never dreamed that it would one day spread to over 23 countries! Home stagers come from all kinds of past careers. Like sales, financial services, nursing, insurance, government, education, film, interior design, fashion, administration, and more. 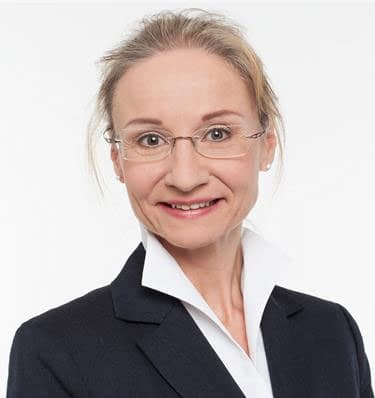 Today I’d like to introduce you to Staging Diva Graduate Claudia Manighetti who lives in Zurich, Switzerland. Over the years she became bored with her work as a permanent-makeup-artist and turned her creativity to a new home staging career following my business model. “After working more than 20 years as an independent permanent-makeup-artist, I got a little tired of doing the same thing every day. So I searched for a new challenge where I could put everything I learned in my life to work. I was always very interested in sales and marketing and I love decorating. When I learned that there is something called Home Staging, I was delighted and knew straightaway that this would be the right industry to start a new business from scratch. Even though there are a lot of Realtors in Switzerland, 70% of houses and apartments are sold privately. And they look as neglected as anywhere else. Nobody thinks about the value of the first impression that a home makes to a potential buyer. At the moment, hardly anyone here knows about home staging. So there is a lot of work out there and with the help of the Staging Diva Program I now have a detailed plan of what to do to become a successful home stager. Instead of improving the appearance of people, I’m now improving the appearance of their home. It’s fun, it’s challenging and it’s satisfying – but it also needs pigheaded discipline and determination. 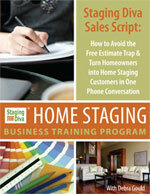 First I bought the Staging Diva Ultimate Portfolio Guide and then the Staging Diva Ultimate Design Guide. They were both so comprehensive and helpful that I decided to invest in the complete Staging Diva Home Staging Business Training Program. With the help of this program I got a clear view of how I want my personal business strategy to be and how I will go on with my marketing. The Staging Diva Dialog group coaching calls keep me motivated and I can ask all the questions which come up as I grow my business. I’m really excited to watch Claudia’s business grow and featuring one of her home staging projects. Are you as curious to see inside a Zurich home as I am? When you’re building a home staging career in an area where the concept is little known, as Claudia is, there is a ton of opportunity. As you educate people about how and why home staging works, you become THE local expert. Isn’t that fascinating that 70% of homes in Zurich are sold privately even though they have real estate agents? Frankly, I think this will be growing trend in North America. Technology has changed the whole dynamic of how people buy real estate. Remember when most people used a travel agent to book a trip back in the day? That’s because travel agents had all the information. Interesting destinations, where to stay, what to do when you got there. Not to mention booking your flight (from which they used to earn a commission). Consider how similar that is to buying real estate before the Internet. Back then, the only way to find out about homes for sale, or see what they looked like inside, was to hire a real estate agent. I recall the days of an agent having me flip through a binder of printed real estate listings, do you? Today, 90% of home buyers look at photos online before deciding if they want to visit a property on the real estate market. That’s one of the many reasons home staging is so critical. And why staging will continue to grow in popularity in the years ahead! Isn’t it nice to have a home staging career in a growing industry, rather than a shrinking one? Please join me in congratulating Claudia Manighetti on her new home staging career! If you’re a Staging Diva Grad and you’d like to be featured in the Home Staging Business Report, please complete the easy-peasy submission form here. Hi Kathleen, In the training program I discuss all the ways you’ll keep up to date. Keep in mind though that very few clients actually want the “latest” trends, and they’re especially not needed when you are staging a home. Preferences change far slower than you would think if you relied only on magazines (who have the objective of convincing you that you need to replace whatever you have because that drums up business for their advertisers). Very few people are going to spend thousands of dollars repainting their home, ripping out kitchens and bathrooms, etc, just to have the latest “trends” (which will quickly date their home anyways). See what I mean? Is there any job opening in your company? I think I am not really ready to start my own business, But would love to work in your company.I am also not an Interior designer, but really have the passion for it. However, I do have diploma in Architecture. I do not run after dollars so any amount will suit me. I just want to do it and I am sure people would love it. Hi Moumita, thanks for commenting. I have to point out that you’re really selling yourself short though. On the one hand you’re saying you’d like to work for me while telling me what you don’t have and that you don’t care about how much you earn. This really isn’t paving your way to success I’m afraid! So…. I’m glad you signed up for my free home staging quiz because I think it will help you realize you have more natural talent than you’re giving yourself credit for. I hope you’ll also reconsider that idea about not “being ready” to start your own business, there is way more money to be made having your own home staging clients (and I will teach you how to get those), than being an assistant to a home stager (who would likely pay you close to minimum wage while billing you out to their client for many times that).